We start in October with the Badke String Quartet, which was founded in 2002 and is now one of the best young quartets in the country. They won first prize at the Melbourne Chamber Music Competition in 2007, and hold a music fellowship at the Royal Academy of Music, where they all studied. 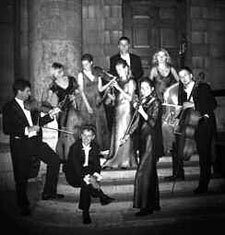 They have performed at the Wigmore Hall and the Royal Festival Hall. This year they will play for the first time at the Musikverein in Vienna and will return to the Wigmore Hall. 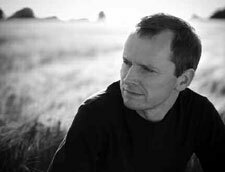 Then in November we welcome Steven Osborne who is acknowledged as an outstanding pianist. He studied in Edinburgh and then at the Royal Northern College of Music in Manchester. He now performs solos and concertos all over the world. He appears every year at the Wigmore Hall and has made seven performances at the Proms. His recordings are well known and Gramophone has selected two of them as “Editor’s choice”. His programme includes Beethoven’s Sonata Op. 79 in G and Ravel’s La Valse. In December the oboist James Turnbull, accompanied by Elizabeth Burgess, brings an interesting programme exploring the oboe works of Robert Schumann and his influence on other composers. He studied at Oxford and at the Royal Academy of Music, before launching his professional career with the help of the Countess of Munster Musical Trust. He has performed in this country and abroad, and in particular played the Mozart Quintet with the Allegri String Quartet. The London Concertante come to us in February to play as part of their programme the much loved Mendelssohn Octet, which they have recently recorded. Over 17 years they have established themselves as one of the finest chamber ensembles in Europe, giving about 100 concerts a year around the world. They regularly play at music clubs and festivals in the UK and have developed “Gigs for Kids” – an educational workshop for 5 – 16 year olds, enthusing children and young people in the love of music. Then finally in March the Florestan Trio will perform piano trios by Haydn, Beethoven and Shostakovich. 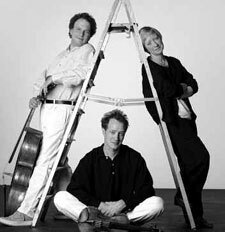 Their quality is perhaps best indicated by their Royal Philharmonic Society award for chamber music in 2000 – the first time that this has been given to a piano trio. They have made 20 recordings with Hyperion and have received outstanding reviews. 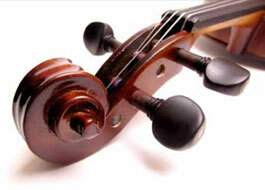 They regularly perform at the UK’s major festivals and concert halls. They often visit other European countries and tour further afield.